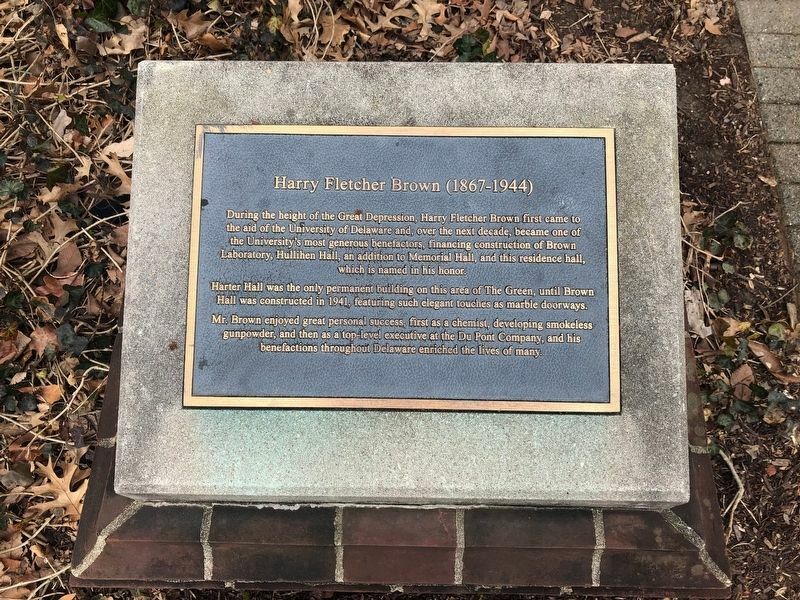 During the height of the Great Depression, Harry Fletcher Brown first came to the aid of the University of Delaware and, over the next decade, became one of the University's most generous benefactors, financing construction of Brown Laboratory, Hullihen Hall, an addition to Memorial Hall, and this residence hall, which is named in his honor. Harter Hall was the only permanent building on this area of The Green, until Brown Hall was constructed in 1941, featuring such elegant touches as marble doorways. 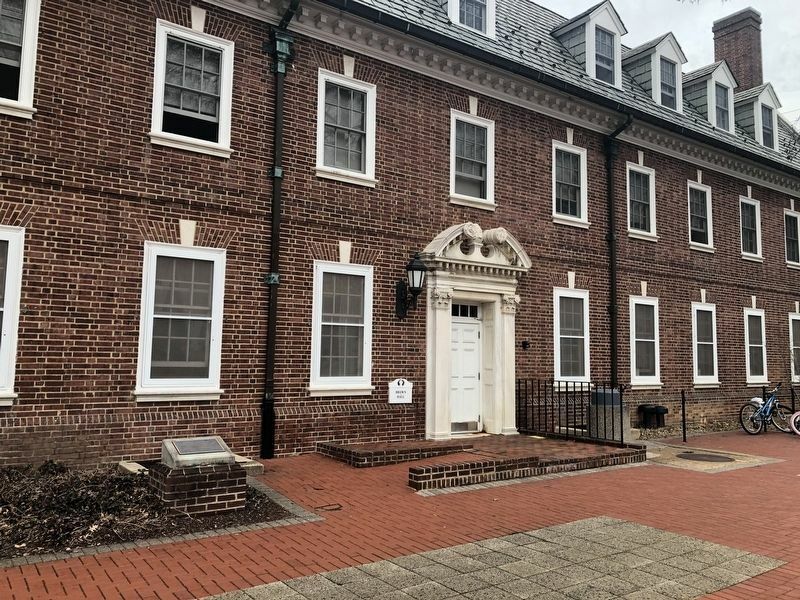 Mr. Brown enjoyed great personal success, first as a chemist, developing smokeless gunpowder, and then as a top-level executive at the Du Pont Company, and his benefactions throughout Delaware enriched the lives of many. Location. 39° 40.965′ N, 75° 45.167′ W. Marker is in Newark, Delaware, in New Castle County. Marker is on The Green north of East Delaware Avenue (Delaware Route 273), on the left when traveling north. Touch for map. Marker is at or near this postal address: 12 The Green, Newark DE 19716, United States of America. Touch for directions. walking distance of this marker. George Abram Harter (1853-1943) (within shouting distance of this marker); Alumni Hall (within shouting distance of this marker); Elliott Hall (within shouting distance of this marker); The Diamonds Walkway (within shouting distance of this marker); Hugh Rodney Sharp (1880-1968) (about 300 feet away, measured in a direct line); Jastak-Burgess Hall (about 300 feet away); Recitation Hall (about 300 feet away); Wilbur Owen Sypherd (1877-1955) (about 300 feet away). Touch for a list and map of all markers in Newark.